The Daily Mail August 6th 2007. The brochure promises "detoxification for body, mind & spirit". The ten-day fast (and four days of fast-breaking because you can't just break a fast with a doughnut - it may kill you) will restore my inner balance. It will light me up with holiness and I will surrender. Or something. I arrive in Portugal bloated with Jelly Babies, to which I am addicted, and travel to a valley in the middle of nowhere. The clinic is a series of stone cabins arranged around a central house, with a flowerstuffed garden and a gaggle of chickens scrubbing about. My room is basic and comfortable and on my bed is a leaflet with a picture of a digestive tract. It says that the wise have always fasted. The ancient Greeks Plato and Hippocrates apparently fasted. Even Jesus Christ fasted and also described in the Bible how to do "gravity colonics". At least, that's what it says in the leaflet - so it must be true. At 7.15am a bell tinkles outside my room. In the dining room I find a group of young British women drinking hot water and lemon. They look like someone has died, and they don't speak. Speaking is apparently discouraged until after the daily two-hour yoga session. We stagger to the Yoga Temple where I try to arrange my processed food-poisoned body into the 'fish' position. At 10am the fast begins. We are given a litre of orange juice and a cup of clay, which we combine with psyllium husks (seed pods, often used to ease constipation). This will act like an intestinal broom, pushing the toxins out of our bodies. Then we recite the juice prayer, which is designed to focus our minds on the nutrients. "To the sun and the moon and the sky and the earth," we chant, holding hands like extras in Dr Who. "To all the elementals and the nature spirits, we thank you for the juice we are about to receive." I cannot imagine saying that in Starbucks. But here it seems normal. At 1pm and 4pm we have a freshly squeezed vegetable juice. They vary every day: today is carrot (for shining hair, nails and eyes) and melon (for serenity). At 7pm we have hot water that smells of vegetables. I fall into bed at 8.30pm. I have not gone to bed at 8.30pm since I was seven. The others are speaking. There is Vicky, recovering from a disastrous marriage to a Premiership footballer; Sarah, also getting over a relationship; and Prudence, whose City job has brought on a nervous collapse. There is also Marie, an estate agent, Olive, a teacher, and Claudia, a manic trophy wife who orders me to have a tummy tuck. A film producer called Liz has already fled. She packed her bags last night and was driven to the airport in disgrace. We already have camaraderie, because we know we will not have the energy to hate each other in the days ahead. 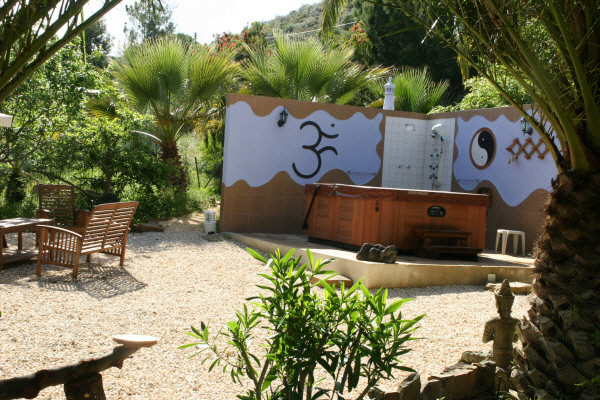 We lie by the swimming pool, rising only to have Thai Yoga Massage, Shiatsu Massage, Yoga Massage or Crystal Healing. Most of the girls are doing clysmatics - self-administered colonic irrigations which 'stimulate' the intestines. But I cannot. I have issues with tubes. And I cannot face the way Chris, the vegetable juice-maker, says 'Clysmatic?' at me when I walk into the dining room. The psyllium husks are swelling in my stomach like an inflatable dinghy and I am not hungry. Peter, the acupuncturist who looks like a boxer who has found God, says I have hyper liver activity. "When you are angry," he says, "the liver energy goes upwards, causing heat and agitation. It is typical of journalists." My spleen energy is also in trouble and this is causing "digestive problems". He says he will try to calm down my liver and get my spleen back in a party-going mood. I am like a new-born baby; all I do is ingest liquids, cry and sleep. The Juice Fast diet: How would it make you feel? Hunger arrived today. I am discussing breast implants with the footballer's wife when, suddenly, an image of gravy explodes in my head. I go to the library - it contains books with titles such as Cosmic Crystals and The Wind Of Change - and attack the computer, where I fantasise over the Delia Smith website. I spend the rest of the day drooling and have to be physically removed by Marie at what used to be called suppertime. And I am not the only one. At supper we talk about lasagne the way the Russian Bolsheviks used to talk about Lenin - that is, with a terrifying intensity. I have had fewer calories this week (950 a day) than I used to have in a single midnight mini-roll binge. This evening I have a redemptive dream about a Mars Bar. Everyone looks like they have been to the dry cleaners: fresh, clean and buffed. Marie's intestinal parasitic worm, which she brought back from India like a pet, has fallen out of her bottom. Peter has correctly diagnosed Prudence's endometriosis (a disease of the lining of the womb) just by touching her. Even the trophy wife has a rare moment of clarity and says she isn't having any more plastic surgery, but she may be leaving her husband. The fast has stripped away more than the toxic lining of our digestive systems. We feel centred, calm and very alive. Although semi-religious visions of Lion Bars are ever present, my body is still not hungry. I realise I have been feeding Jelly Babies and Jaffa Cakes not to my body, but to my lonely, angry soul. And I do feel different. I feel connected to all living things - to flowers and birds. If I mentioned this anywhere other than at Moinhos Velhos I would be sectioned. But my liver is happy. And my spleen is ecstatic. Today we break our fast with fruit and vegetables; tomorrow we will get carbohydrates as we ease our bodies back on to solids. Probably because we willed each other on, and an alternative therapist is on duty 24/7 to cuddle us when we wobble, it seemed very easy. At breakfast we clap as a sumptuous plate of fruit appears. But the strange thing is that although the food tastes amazing, I don't find it that interesting. It is vaguely interesting, rather than incredibly interesting. Could my dark love affair with my guts be over? I have lost 10lb. I look incredibly beautiful. Today I eat a potato very slowly. I still look incredibly beautiful. I feel calm and clean, like a Hoover whose dust bag has been replaced. But I am afraid of the future. It is easy to worship your body in a valley full of people who will attack you if you say "butter". In stinking London, it may not be so easy. I may start treating my body like a despised ex-lover again. But Peter gives me a final lecture, particularly about my bad habit of "over-nourishing" myself: "Processed food is bad," he natters. "Alcohol and cigarettes are very bad. Fruit, vegetables, pulses and complex carbohydrates are good." Yes to yoga, he says; no to drugs (obviously). And fast once a year. The fast, he says, waggling a finger at me, is only a beginning. As I wait in the airport I get a text message from Marie. It is a parable of the temptations of modern life. "We are all drunk on Sangria," she writes. "And Prudence is now a smoker!" They might be re-toxing in some fetid bar, but I won't be joining them. Not this time. I ignore the packets of Jelly Babies and board the plane. Tanya's trip was organised by Lotus Journeys. Prices start from £1,400 for a shared room.